“PS Panjandrum”. 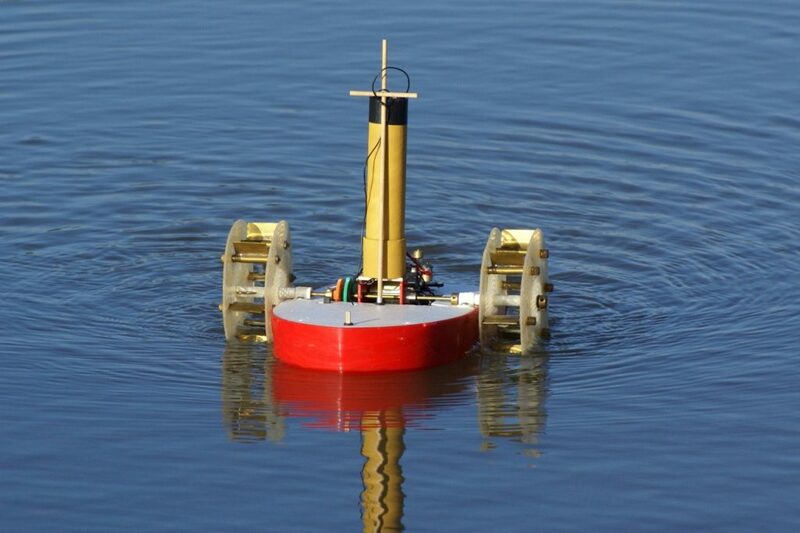 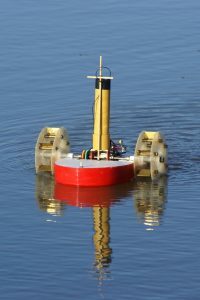 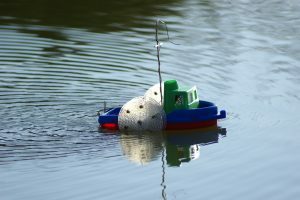 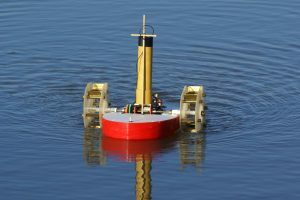 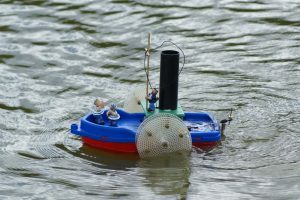 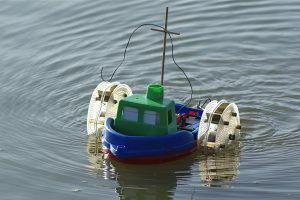 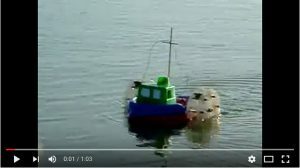 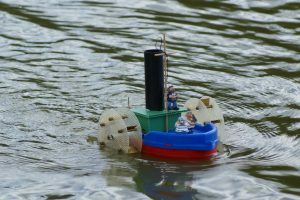 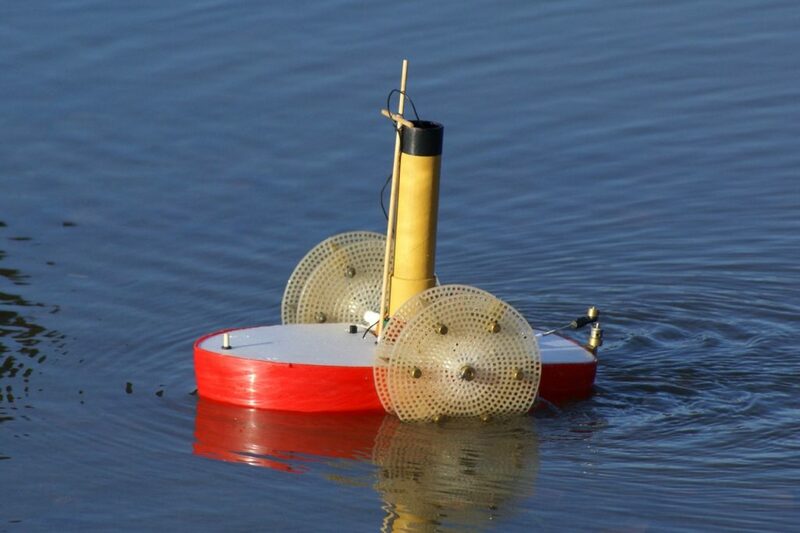 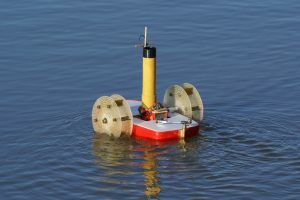 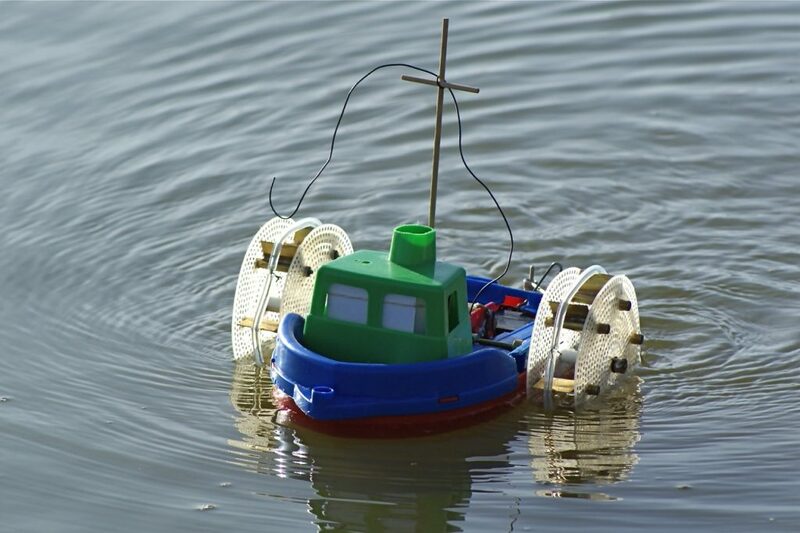 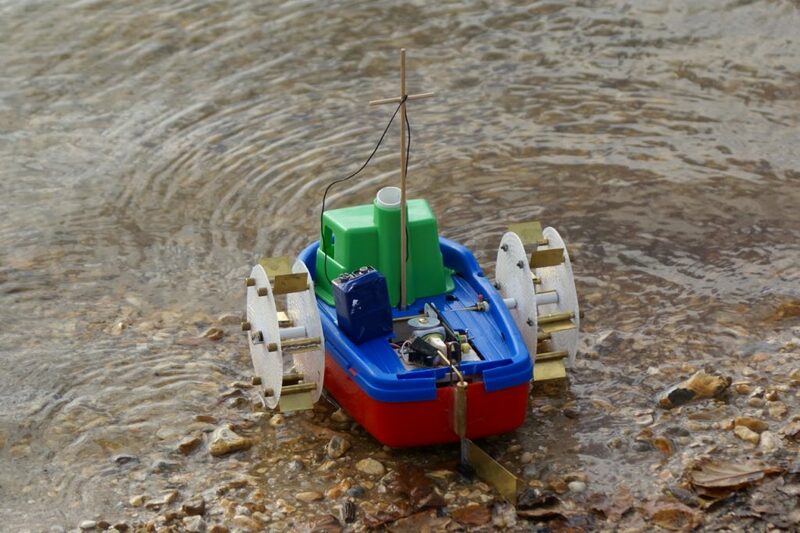 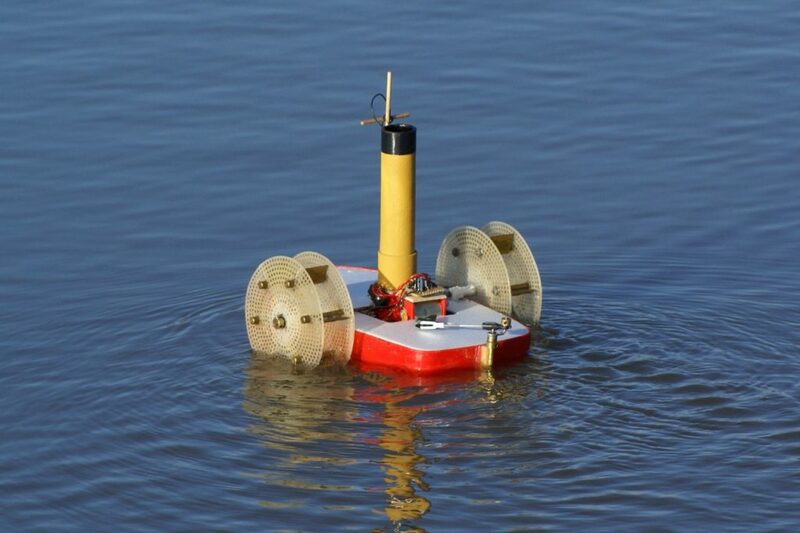 The boat is adapted from a child’s beach/bath toy with an MFA motor/gearbox driving the paddle wheels, which themselves are fashioned from plastic sink strainers spaced apart by the brass paddle blades. 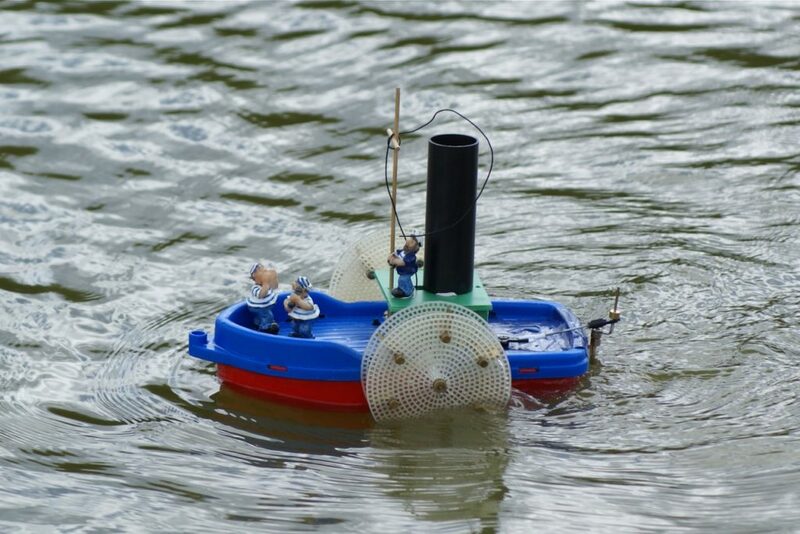 It is fully radio controlled and features a steam sound unit, synchronised to the paddle wheels by a micro-switch / cam and also has a smoke unit adapted from a model railway unit. 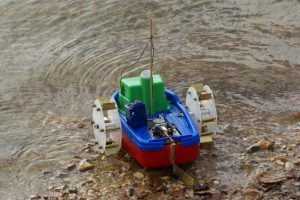 Experiments continue to try and make it climb the beach like the famous WWII Giant Panjandrum, though an explosive payload is not planned – well, not at present anyway! Model: Tony Crollie.